It is currently believed that the stimulation of insulin release by nutrient secretagogues reflects their capacity to act as fuel in pancreatic islet beta cells. In this review, it is proposed that such a fuel concept is not incompatible with a receptor hypothesis postulating the participation of cell-surface receptors in the recognition of selected nutrients as insulinotropic agents. 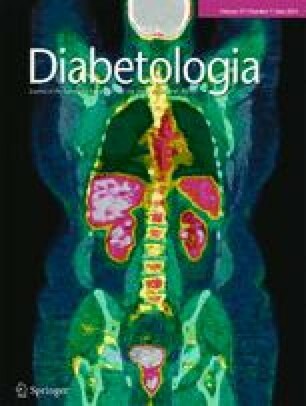 Pursuant to this, attention is drawn to such matters as the anomeric specificity of the beta cell secretory response to d-glucose and its perturbation in diabetes mellitus, the insulinotropic action of artificial sweeteners, the possible role of bitter taste receptors in the stimulation of insulin secretion by l-glucose pentaacetate, the recently documented presence of cell-surface sweet taste receptors in insulin-producing cells, the multimodal signalling process resulting from the activation of these latter receptors, and the presence in beta cells of a sweet taste receptor mediating the fructose-induced potentiation of glucose-stimulated insulin secretion. WJM was responsible for the conception and design of the manuscript.